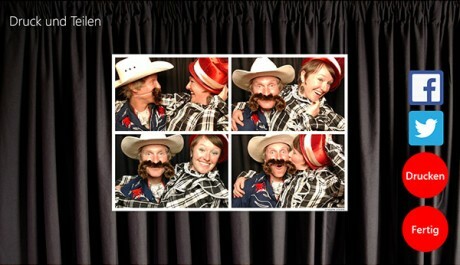 Instant Photo Booth is all about providing the customization features you need to make the perfect photo booth experience. Do you need to shorten your session time? No Problem. The options can be adjusted to provide sessions from a maximum of nine pages to a minimum of three. Do you want to control your photo booth with an external, physical button? No problem. You can turn off the on screen start buttons and use any device that can press Enter or the space bar…such as the Griffin Technologies PowerMate button. 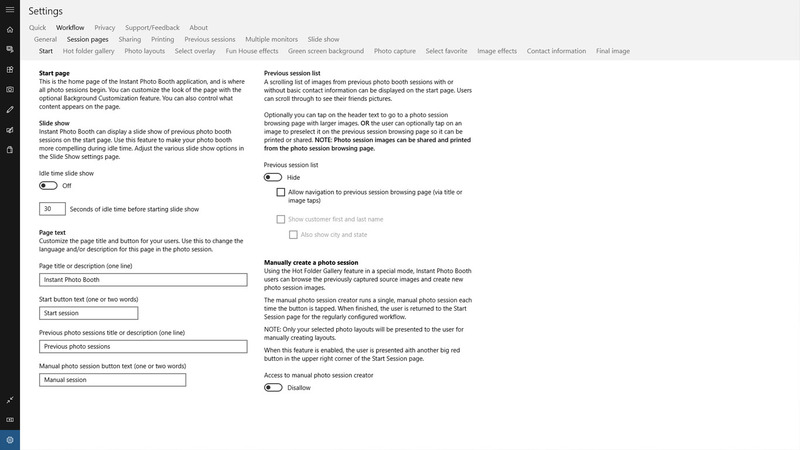 The settings pages, which are accessed via the settings icon at the bottom of the menu bar, contain more than 200 settings that provide detailed configuration of almost every aspect of the software. Are your users non-English speakers? No problem! All user-facing text can be customized in the settings. This way you can tailor both the language and they way the workflow is described. Check out some customization case studies that show how the backgrounds and workflow were customized for an event.